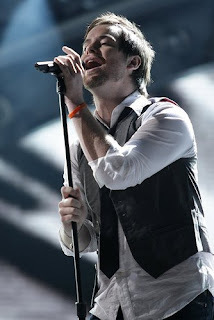 Tompok-Susan: Rocker David Cook wins "American Idol"
Rocker David Cook wins "American Idol"
Rocker David Cook won the coveted title of "American Idol" on Wednesday, dealing an unexpected but decisive defeat to a silken-voiced teenager, also named David, on the most popular U.S. television show. Cook, 25, who was tending bar and playing in a band before he auditioned for the singing competition, stood back to applaud rival David Archuleta, 17, and then bent over crying after host Ryan Seacrest said he had won by 12 million votes. "This is amazing. Thank you," said the Blue Springs, Missouri, native, who in addition to being crowned this year's "Idol" will receive a recording contract.